My macbook crashed after an ongoing update. I get the "?" file when rebooting it. After several test i decided to reformat my SSD as it was impossible to install a new version of mac OS X on it. At this point, the SSD is crashing the reformat or erase process from diskutil. when i launched them. The system is starting to unmount the drive. Then freezing after 30 seconds approximately. If you’re not sure you are doing the full erase correctly, you can follow this guide. It will repartition the drive erasing everything on it and let you attempt a clean os installation. If you’re not ready for that, consider installing on to an external drive to back up any files and make sure it’s not something other than the SSD failing or needing to erase everything first. Not the answer you're looking for? 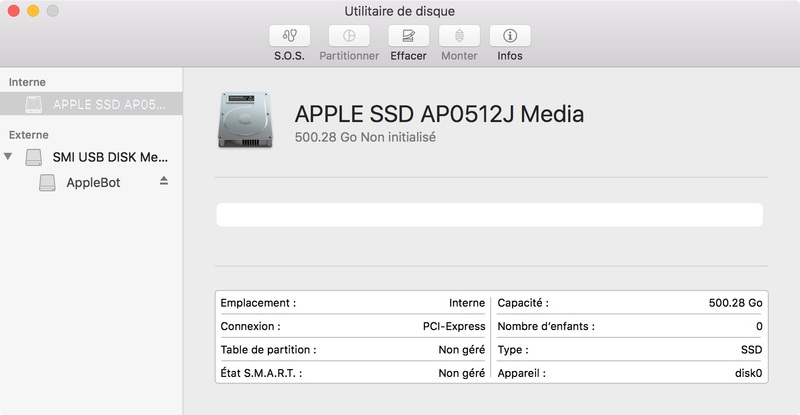 Browse other questions tagged hard-drive el-capitan ssd filesystem hang .